Chamber members & businesses can find and promote events, and network within their local community. Login to update, track, and summarize all relevant data regarding the Chamber of Commerce. Login here. Canadian Chamber of Commerce has partnered with First Data Canada to provide merchant services; low credit and debit card processing costs, an online reporting tool and the latest technology including ecommerce and mobile pay apps. 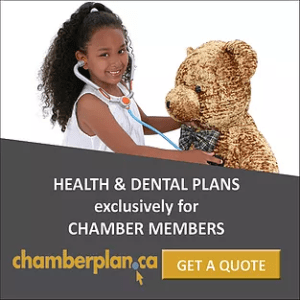 Visit www.ChamberMerchantServices.ca for more information on this exclusive offer. It has been the mandate of our respective boards to form a committee, the Tri Regional Action Collaboration Committee (TRAC), to explore what potential unification may look like and how it may happen. To be clear any move to unify the chambers will require a formal membership vote from both membership bodies, by no means has this decision been made at this point in time, but is supported by both respective Boards of Directors. The goals of unification are two-fold with the first being to provide better service to our collective membership by way of more efficient use of resources. Maintaining separate memberships lists, separate event calendars, separate sets of finances to name just a few means that our staff spend a significant amount of their time maintaining each organization as opposed to providing membership facing services such as business education or advocacy. Under a unified organization these “day to day” responsibilities can be streamlined leaving time for a combined staff body to provide more attention to our membership base. The other key motivating factor is that a larger membership base carries more weight at the advocacy table. 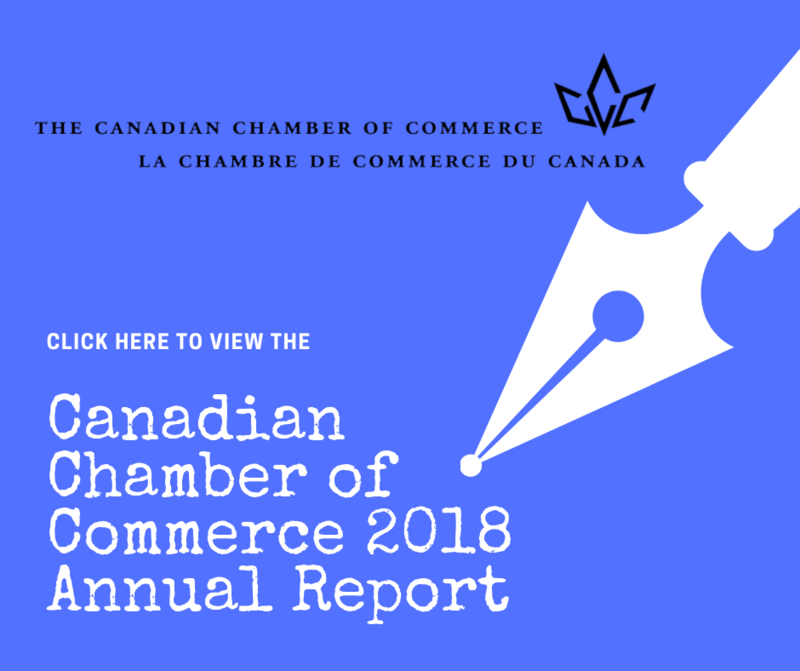 In Canada the primary historical role of Chambers of Commerce is to act as advocates to all three levels of government on behalf of the business community. On June 21st TRAC gathered member feedback regarding the idea of chamber unification. A total of 44 individuals participated and of the 44 respondents, 39 expressed support for the idea of unified chamber. 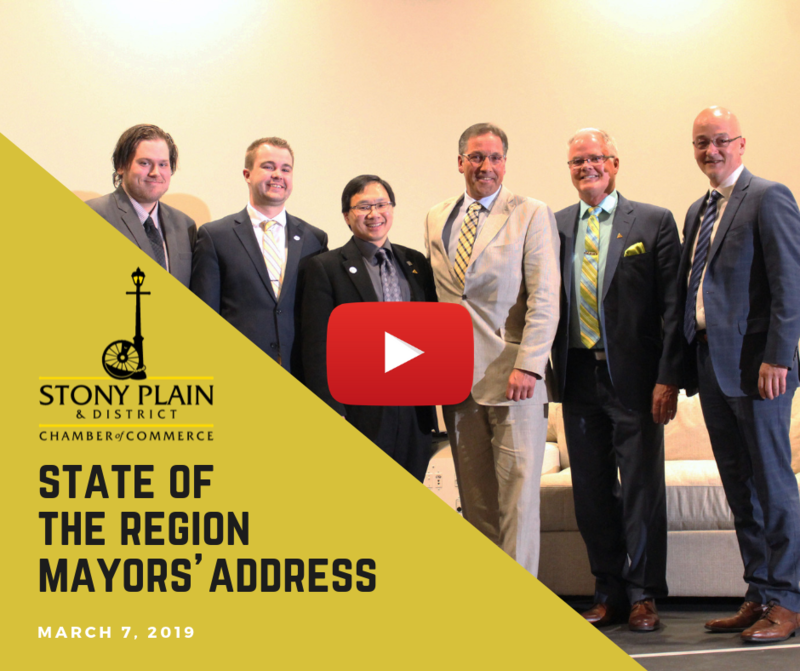 The 44 respondents were made up of 17 members of the Spruce Grove Chamber, 12 members of the Stony Plain Chamber, 6 members of both chambers and 9 non-members. BE YOUR OWN BOSS THIS SUMMER! Here's your chance with the Seeds for Success young entrepreneur program from Community Futures Capital Region. If you are in high school in Stony Plain or Parkland County and would like to explore the idea of being your own boss this summer – and win awards up to $1000 absolutely free – this program may be for you! 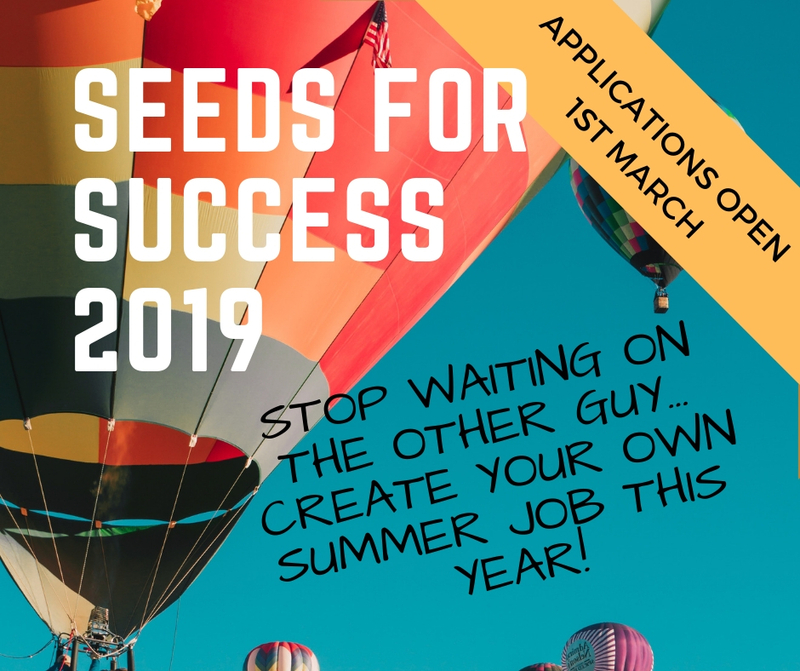 Check out all the details at: https://cfinsider.ca/seedsforsuccess. Applications open 1st March 2019. This program is made possible by our wonderful sponsors: the Town of Stony Plain and Parkland County, and our supporters Memorial Composite High School and the Stony Plain Chambers of Commerce. Please share so that we can give this opportunity to as many local students as possible! Thank you. Couldn't Attend Business @ Breakfast? Watch Previous Videos HERE!